We book all forms of bands America. 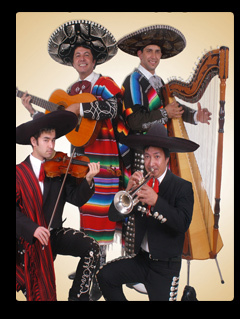 You can book a Mariachi band. They will play all the classics including La Cucuracha and several other well known Mexican songs. Book a Mexican Band / Mariachi Band Now.